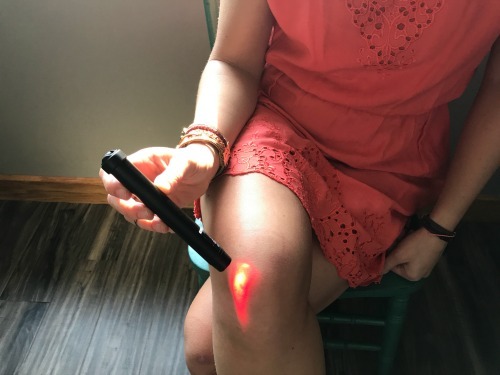 Laser Therapy is scheduled in 5 minute increments per scar area you need to work on for a total of 15 minutes, or 3 scars, per appointment. Please wear clothing that allows easy access to the area of your body needing Laser Therapy. You will be shown how to use the laser and given a timer. You will have both your Laser Therapy and your Nutrition Response Testing follow up visit inside this 30 minute timeframe.